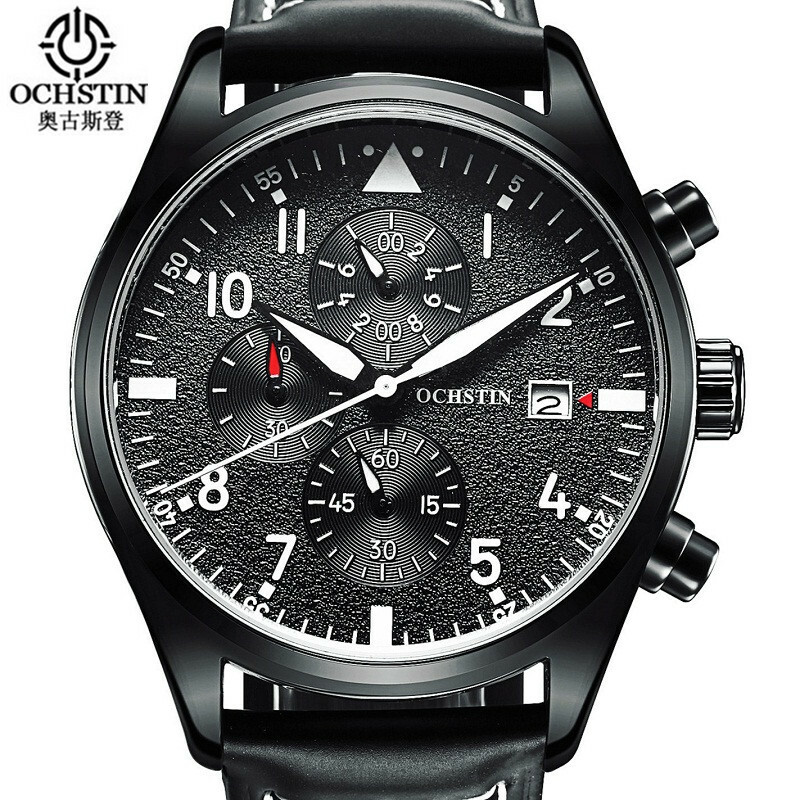 Relogio Masculino OCHSTIN Chronograph Mens Watches Top Brand Luxury Leather Sports Watches Men Clock Quartz Wrist Watch Erkek Kol Saati Note: Item is multifuction watch, small dials of it can work, YES! If you are satisfied,please leave us a positive feedback ( 5-star ),we will keep giving you great service here. If you are not satisfied or have any problem,we would be grateful if you would contact us before leaving 1-star to 3-star feedback,we will reply you within 24 hours and do our best to make you satisfied. Thanks for your cooperation! Sincerely wish you have a good time on shopping! Welcome to our shop again!